When RSS Ads were first introduced, a lot of people thought that ads inside feeds would turn away subscribers. Fortunately, that has not been the case and RSS advertising business continues to grow. » Should I syndicate Full content or partial feeds ? 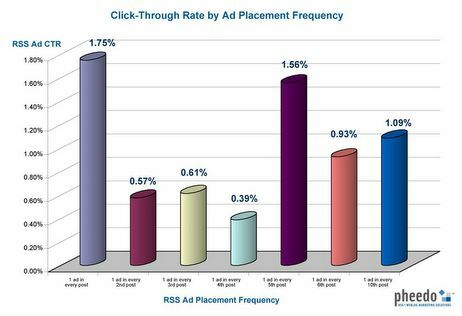 » Where do I place RSS ads - after every post, two posts or more ? Make sure your feed has sufficient posts on Tuesdays. There is the high readership and click-through rates on feed ads and content early to midweek.